There's no need to agonize over getting the 'ideal' position at address. Here's a simple way to find it. Without a club in your hand, flex your knees, bend slightly from the waist, and then let your arms drop down naturally. Clap your hands together, and you'll be in the proper address posture. 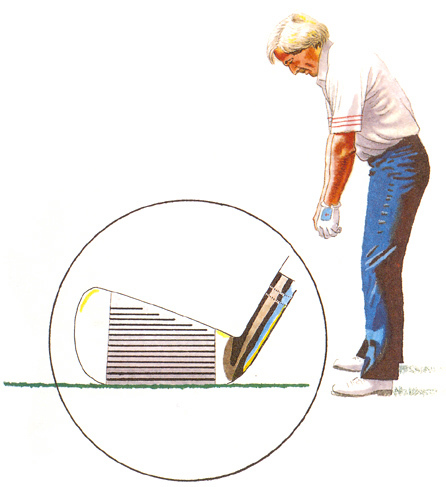 If you grip your club - any club - from this position, you should find that its sole lies flat on the ground. If it doesn't, don't change your posture, change the club.